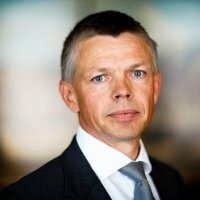 Saxo Bank has been one of several industry leaders that has escaped calamity as a result of the surge of volatility last week – Forex Magnates spoke with Steen Blaafalk, CFO at Saxo, about the group’s regulatory requirements and potential losses. Last week, Mr. Blaafalk touched on the prudent planning of Saxo Bank, which took preventative steps as early as September to avoid major losses or breaches of client funds. 1.) While it seems a forgone conclusion that Saxo Bank will meet its Regulatory Capital requirements, what is the size or scale of the amount of unsecured margin collateral that Saxo will incur as a loss? We have a clear overview but I can’t comment on specific numbers. Saxo Bank is liaising with these clients to settle such unsecured amounts and it’s expected that some clients will not be able to the settle the balance in full and that the bank will incur losses in this respect. However, even in the unlikely event that Saxo Bank would not be able to recover any of the outstanding amounts, Saxo Bank would still fulfill its regulatory capital requirements. 2.) In what ways will Saxo Bank be stronger than before as a result of this event, and has there been a large amount of new business as a result of other brokers’ shortcomings or capital inadequacies? Yes, we have seen a net inflow of clients over the weekend. I think all the banks and brokers that survived this incident will be stronger going forward but I also believe many will have to change the way they are conducting their business. We are entering a new regime. Volatility is rising and to reflect potential increase in risk and to protect clients, banks and brokerages have to raise their margin, the sooner the better.